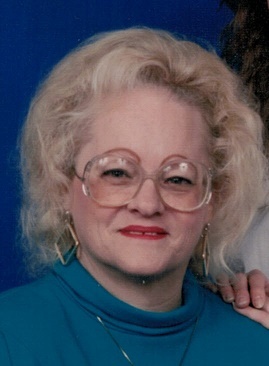 Obituary for Rozanne M. (Eastburn) Hunter-Kucharski | Zahoran Funeral Home, Inc.
Rozanne M. Hunter-Kucharski, 75, passed away at 8:20pm Sunday, August 12, 2018. Rozanne was born on September 16, 1942 in South Bend to Robert and Verina (Kovatch) Eastburn. She retired from RACO and also had been employed by St. Vincent de Paul. Survivors include her ex-husband Marion W. Hunter of Arizona, daughter Elizabeth Hunter of Williams, AZ, sons Kenneth (Teri) Hunter of Seligman, AZ and Joseph (Marcia) Hunter of South Bend, 5 grandchildren Cheryl, Ilene, Ryan, Shaina, and Danielle, 4 great-grandchildren and 3 sisters Gloria Feirick of New Carlisle, and Christine (Jim) Milliken and Jane (Mike) Kenna both of South Bend. Rozanne was preceded in death by her parents and a grandson Derek. Memorial services will be held at 4:00pm Wednesday, August 22, 2018 in the Zahoran Funeral Home, 1826 Kemble Avenue. Friends may gather from 3:00pm until services in the funeral home. Burial of her cremated remains will take place at 10:00am Thursday in Sacred Heart Cemetery. Memorial contributions may be made to Alzheimer / Dementia Services. To leave an online condolence visit our website www.zahoran.com.